Halitosis – it sounds like a scary word, but what is it, really? Dictionary.com would define halitosis as “a condition of having offensive-smelling breath.” In other words, halitosis is bad breath. The bad news is everyone has halitosis, or bad breath, from time to time, and some studies indicate as many as 60 million Americans suffer from chronic halitosis, or constant bad breath. The good news is that once the real cause of halitosis is understood, it’s possible to get rid of it and stop bad breath forever. While these all can contribute to bad breath, the real cause of halitosis is sulfur gas. Inside our mouths are naturally occurring bacteria or germs, and when these germs consume protein they release volatile sulfur compounds, or VSCs, and it’s the unpleasant odor of these VSCs that is perceived as bad breath. So, although many things can contribute to it, the real cause of halitosis is sulfur gas. Now that we know what causes halitosis, how do we get rid of it? The one sure way to get rid of halitosis is to neutralize and block VSCs in the mouth. Typical mouthwashes can produce fresh breath for a short time, but the sulfur gas will return soon, and along with it, bad breath. The best way to neutralize sulfur gas is to use a zinc-ion based mouth rinse. However, really getting rid of halitosis means moving beyond simply neutralizing sulfur gas to blocking it from returning. For that, you’ll need activated zinc-ions. 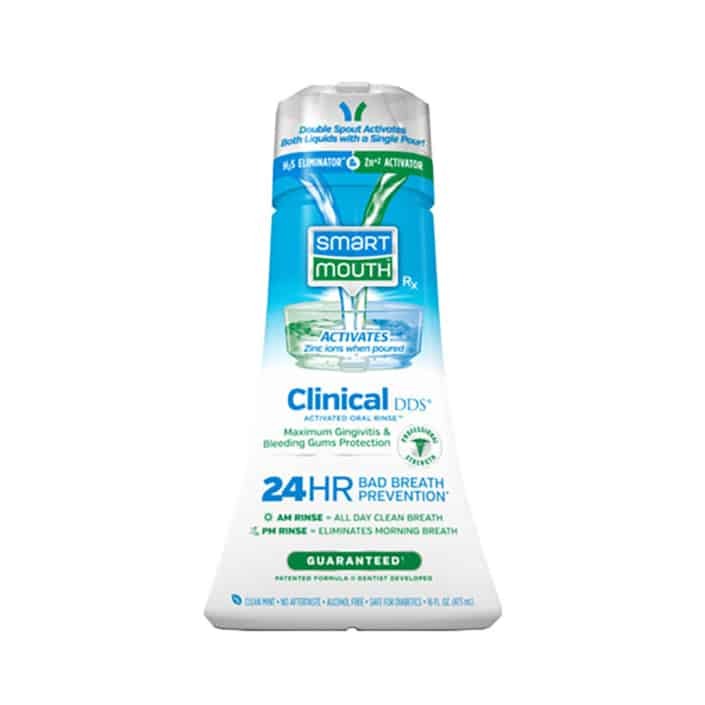 Fortunately, SmartMouth Activated Oral Rinses employ patented zinc-ion chemistry that can block sulfur gas and get rid of halitosis. When mixed together, SmartMouth’s two solutions, the Sulfur Eliminating Solution, which destroys sulfur gases, and the zinc-ion Activating Solution, activate to release billions of zinc ions. Exponentially more powerful than inert zinc, the zinc ions block the germs’ ability to ingest protein particles, which stops sulfur gas production and the resulting bad breath. Used in the morning and before bed, it’s as close to a cure for halitosis as you’ll find! 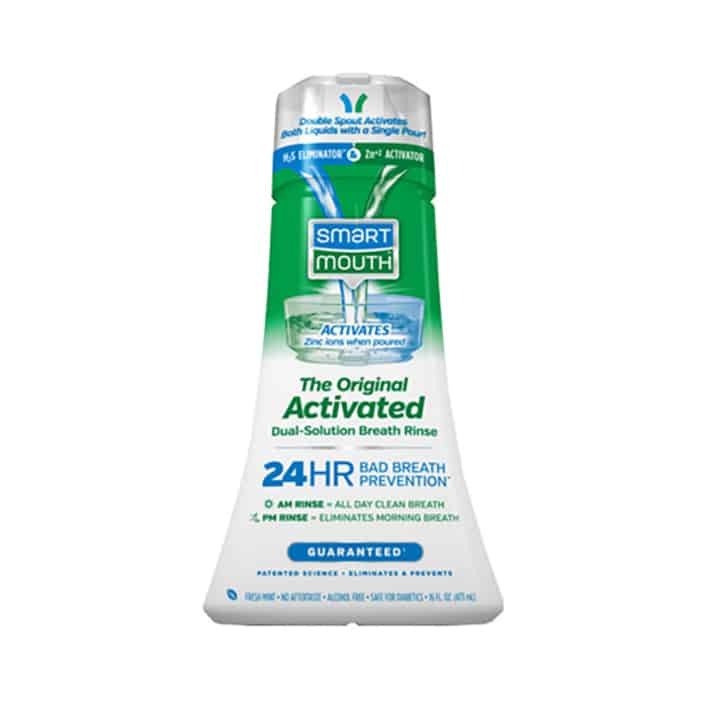 The best news is you can start fighting halitosis right now with SmartMouth’s line of activated oral rinses. Three different formulas, Original, Dry Mouth, and Clinical DDS address various oral care needs and can be found at Walmart, Target, Walgreens, CVS, Albertsons and most drug and grocery stores nationwide. They are also available on Amazon. Try SmartMouth Oral Rinses today and get rid of bad breath for good. 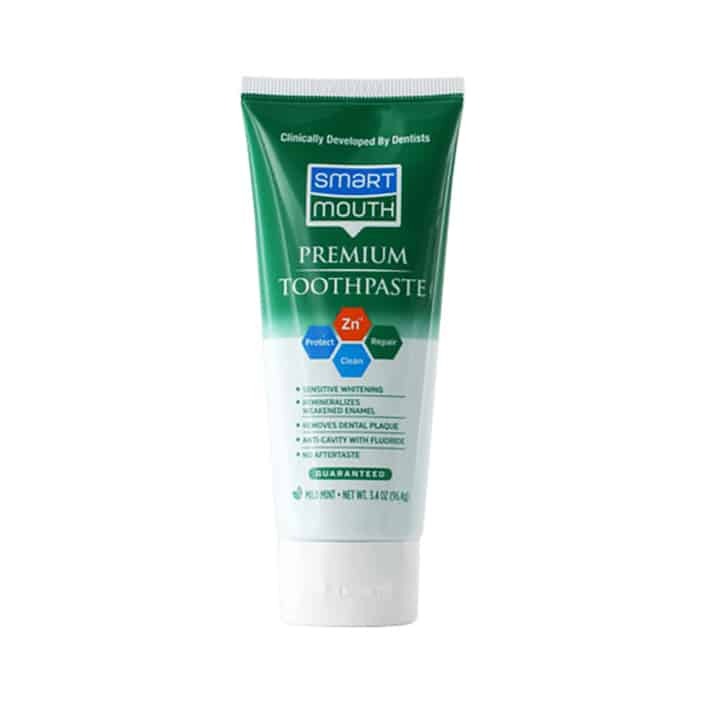 With SmartMouth, you’ll never have bad breath. Guaranteed.